Color temperature is a characteristic of light used in various applications including photography and videography. When someone looks at light with a naked eye, all light looks close to the same. However, when seen in video or photographs, it is clear that light is different and that is where color temperature comes in to play. Light varies between many different levels but there are two standards of light on a color temperature chart: 3200K for incandescent lamps usdd in studio photography and 5500K for normal daylight. The International System of Units defines the term is Kelvin as a unit of thermodynamic temperature. The Kelvin is used in conjunction with the color temperature of light sources based on the fact that the ideal black body radiator is identical as far as the light source and the black body are concerned. When items sit below 4000K (or Kelvin), the items show up as reddish and when items reach above 7500K, they appear bluish. This means that blue occurs at higher temperatures and red occurs at lower temperatures. When measured on a color temperature chart, a video production needs to have the lights measured at around 5500K to equal the light needed for daylight emulsions. 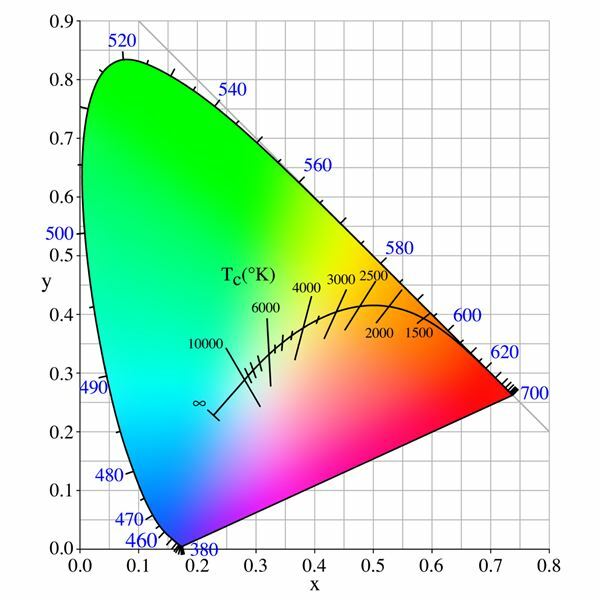 When measuring the color temperature for a video or film shoot, it is important to understand what level on the color temperature chart matches up with the colors in the real world of lighting. If a cinematographer wants his work to look realistic, he needs to make sure the color levels are right when shooting. One of the most important reasons you need to understand the color temperature chart is when you are white balancing your camera. While many cameras have an automatic white balance feature, the best shots are captured by cinematographers who set all the levels of the camera manually. Therefore, to help become one of the better videographers working, it is important to understand the color temperature chart and how it effects white balancing. The purpose of white balancing is to make sure that the image contains equal amounts of red, green and blue. The automatic white balance cameras use color temperature settings, signifying daylight, tungsten and flash. However, you will always obtain better results when you use the proper white balance setting based on the current light color temperature. Many cameras allow you to input specific Kelvin temperatures, which come in handy when shooting in the shade. While sometimes the camera sets to a generic shade mode, there are various levels of the darkness of the shade and it might be better for you to understand the Kelvin numbers so you can set it to a precise number to get the best shot possible. This also makes it possible for you to manipulate your shots. If you are shooting outdoors in normal daylight conditions, you can trick your camera into shooting in a Kelvin level for shade balance, giving the shot more warmth than you would get from shooting in normal 6000K. You can also change the Kelvin level in the opposite direction, changing it to shoot like you were indoors, which will add more blue to the shot. While you can estimate the Kelvin readings from the color temperature chart, there are also meters sold that will help you figure out the exact Kelvin temperature of the shot you are undertaking. Amazon.com offers a color meter from KENKO, reading the temperature of both ambient and flash light. 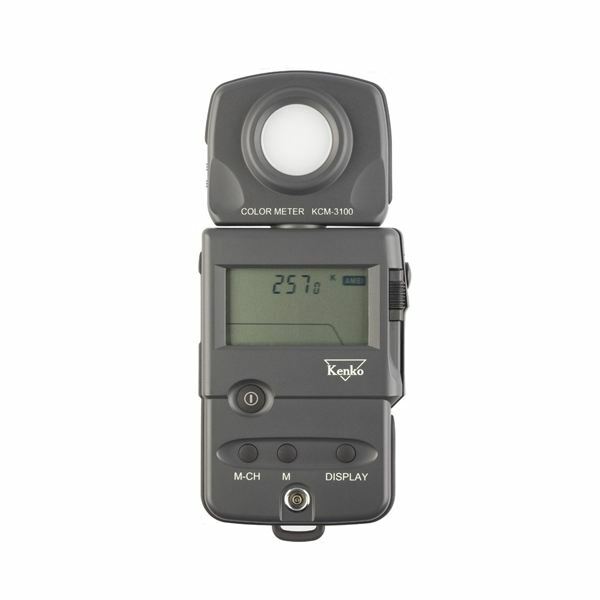 When using one of these meters, a videographer can learn the exact color temperature of the area they are shooting in and adjust the camera to match it. It is also a nice tool to show you the color temperature so you can manipulate the camera to achieve specific goals, such as warming up a shot. These meters also help the videographer know if they need to use a specific filter on the camera to achieve the best possible shot.